<!-Eric Gill. 1882-1940--> Eric Gill. Letterhead for The Serendipity Shop. 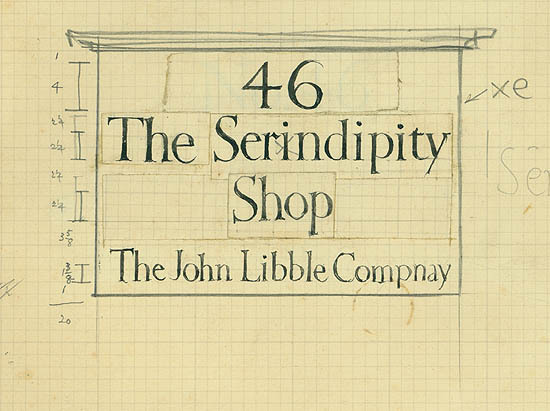 Letterhead for The Serendipity Shop. Pencil and ink. 2 3/4 x 3 3/4 (sheet 4 7/8 x 6 3/16). Drawn on graph paper. Extensively annotated; the second and third lines cut out and inserted from the verso. A fascinating working study. Unsigned. $1,500.